The Swedish Academy awarded the novelist the prize "for the art of memory with which he has evoked the most ungraspable human destinies and uncovered the life-world of the occupation." French novelist Patrick Modiano has won the 2014 Nobel Prize In Literature, the Swedish Academy has announced. 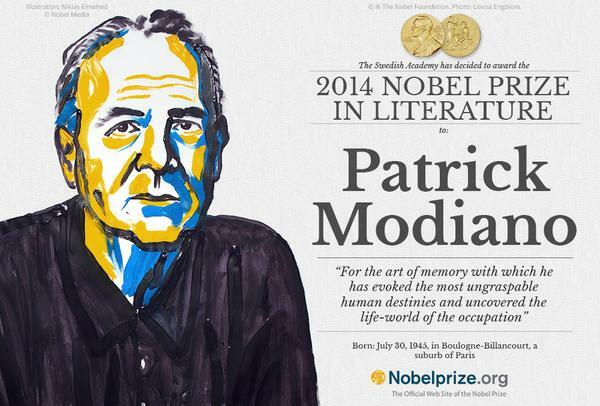 The Swedish Academy: The #nobelprize2014 in Literature is awarded to the French author Patrick Modiano. He was awarded the prize "for the art of memory with which he has evoked the most ungraspable human destinies and uncovered the life-world of the occupation." Modiano was born on July 30, 1945, in Paris suburb Boulogne-Billancourt to an actress mother and businessman father. He first made a mark as a writer in 1968 with his debut novel, La place de l'étoile. His work centers on themes such as memory, oblivion, identity and guilt. His stories are often set in and around Paris, with many of them either containing biographical elements or looking at life during the German occupation of the city. Works such as Les boulevards de ceinture (1972; Ring Roads: A Novel, 1974), Villa Triste (1975; Villa Triste, 1977), Quartier perdu (1984; A Trace of Malice, 1988) and Voyage de noces (1990; Honeymoon, 1992) have been translated into English. Modiano has a reputation for being media-shy, and according to reports in the French media, the Nobel committee was unable to contact him prior to announcing his win. However, according to journalist Salomé Legrand, his publisher, Gallimard, said Modiano was "happy" but found the whole thing "weird".